Let the Blue & Gold know and we’ll help get the news out for you. 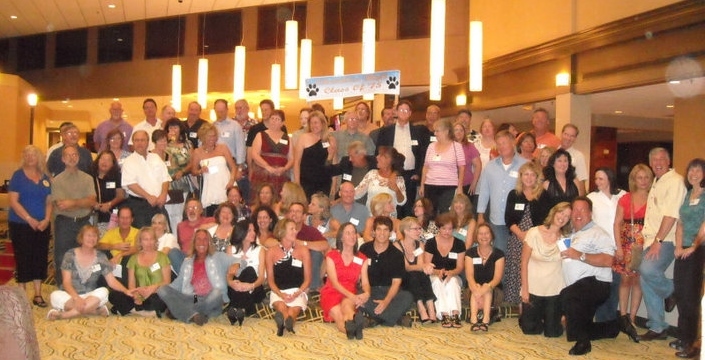 We also offer one or more representatives to help “work your reunion”. We will sell alumni tshirts and bricks from the old high school before it was torn down. We can also offer tours of the new school during your reunion weekend as well. Contact us at chamblee.blueandgold@gmail.com to make arrangements. The CHS Class of 1978 is holding its 35th Reunion on January 26, 2013. Please let me know how we can get the Blue and Gold Foundation involved. Nancy, we’d be happy to have a representative at the reunion to represent the foundation. Since the school is in construction right now, I doubt a tour would work, but we can look into that. We could also post the event on our facebook page. Please let me know what you are looking for and we’ll do our best to accomodate.